With a smaller wedding, a bride and groom have the option of holding their ceremony amid the expansive Churchill Manor lawns, on the veranda overlooking the gardens, or within the grand inner parlors of the mansion. Depending on the time of year, elegant dinner seating can be arranged inside the ornate parlors, outdoors on the veranda, or on the side lawn amid the rose gardens. Hors d’oeuvres are passed immediately after the ceremony, followed by a fine sit-down dining experience at this exquisite wine country estate mansion. 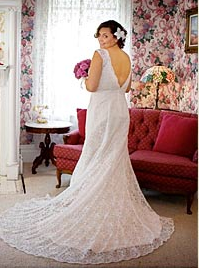 Wedding Fee of $2,500 for the first 20 guests, plus $20 per person for each additional guest. 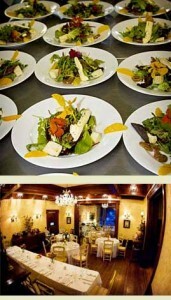 For a print-friendly version of our 7-page Weddings and Sit-Down Dinners at Churchill Manor brochure, please click here.